Are you curious about the probate process and what goes into selling an inherited house in the Charleston area? 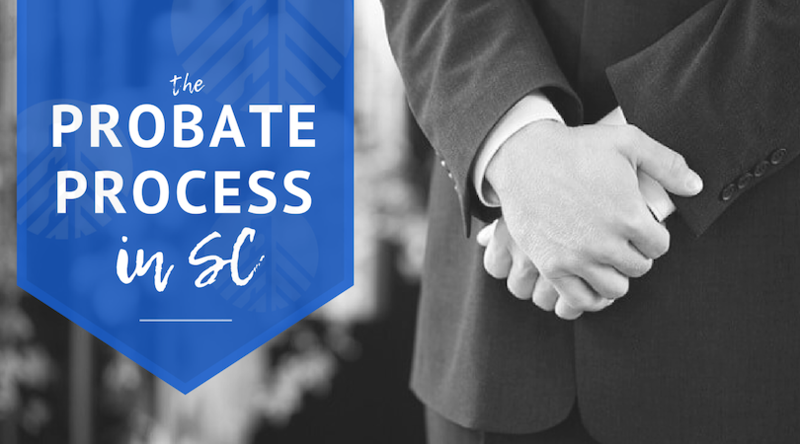 Although it can be intimidating, it’s important to know how probate works here in SC. Here is some basic information on probate and resources to help you learn more about the probate process. First things first, let’s talk about what probate means. Probate is the legal process of settling a person’s affairs and distributing their assets to creditors and inheritors. The purpose of probate is to prevent fraud after a person’s death. The probate process typically involves a lot of paperwork and can be time-consuming and costly. Don’t be intimidated, though! We’ve compiled some information to help you get through the probate process and learn about your selling options. Just like any other state, South Carolina has its own Probate laws to determine the requirements to probate an estate. Charleston County, Dorchester County, and Berkeley County each have their own probate courts. Here’s a look at the basics of the local probate courts and how inheriting an estate works in the Charleston area. The length of the Probate Process varies depending on your case. In most cases, the probate process takes around a year. You should plan for the process to take at least 8 months. (This is because SC State Law mandates that an estate must stay open for creditor claims for 8 months). Depending on the size of the estate, you may be able to skip the probate process all together. If the total assets are lower than a certain dollar amount and/or the decedent owned no real estate, you may be able to avoid probate. These requirements vary by location, so be sure to check with your local probate court. Discuss the specifics of your relative’s estate with a probate attorney to see the potential time frame. One thing is certain: the more complications, the longer the probate process will be. You can learn a lot about the basics of estate law and probate sales directly from your local county’s website. The amount of information on Estate Law and Probate court varies by county. Check out the county probate sites to learn more about the probate process. 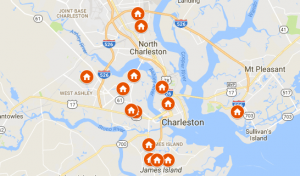 Filing a probate in Charleston County? The web page for the Charleston County Probate Office is full of helpful resources for Personal Representatives and other relatives. They even provide a library of documents you may need during the probate process. If you’re new to the the probate process in Charleston County, be sure to check out the Estate Division page for more information. The Estate Division section of Dorchester County Probate Court website is another extremely helpful resource. See what documents are needed for your situation and browse frequently asked questions. The county even provides a list of recommended Estate Planning and Probate Attorneys in the area. The Berkeley County Probate Court web page is not as informative as those of Charleston County and Dorchester County. However, there is some helpful information and access to probate forms and documents. If you’re filing a probate in Berkeley county, you may want to contact the office for more information. You can also reach out to a probate lawyer in Berkeley County as a resource. For any legal advice, you should always seek the guidance of a qualified attorney. With the help of a local probate attorney, you can settle even the messiest of probates. Ask friends and family for recommendations or check out websites of local law firms. Real estate solutions companies who are experienced with probate sales can also be a great resource. We’ve handled dozens of probate cases and estate sales over the past few years. Although we aren’t attorneys, we are knowledgeable about the probate process. Have a question for us? Contact us today or give us a call at 843-800-2741.